Drunk feeds are the best feeds. Alcohol makes us not think about the consequences which gets our cravings out of control and…let’s face it…food just tastes so much better when you’re drunk. Not to say that a good old cheeseburger from Macca’s isn’t good, but sometimes we just want that liiittle something extra special. Luckily, Auckland does a pretty banging job when it comes to providing us the goods when we’re truly in need. Here is a list of Auckland’s best drunk food. Open till midnight, serving up greasy goodness and providing ultimate American diner vibes—The Fed is a perfect place to get your drunk food fix. Just think of their dishes as classic drunk food but to the tenth level. 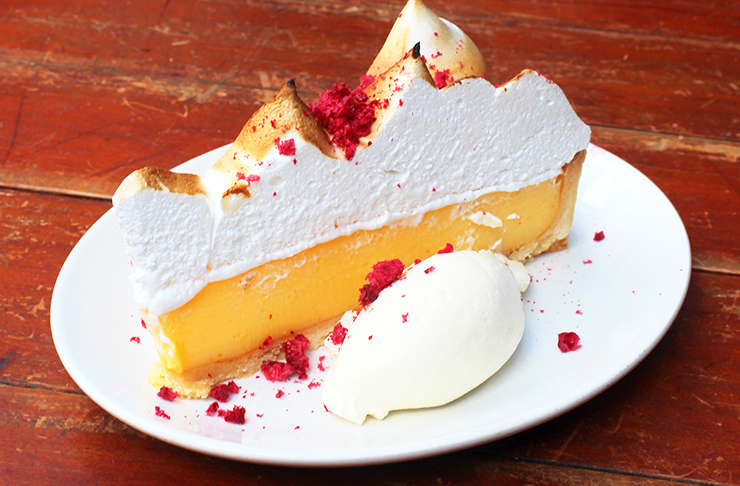 Whether you’re in for something savoury or sweet, these guys have it all. From hot dogs to cheesecakes, even pies, you’re belly will be happy. Just make sure to get their Montreal Poutine—trust us, it’s a must have. Why get a regular pizza when you can get a metre long one? If you want to gather your squad and dine in, Toto’s Pizza is open till late on weekend nights. If not, they also do delivery and pickups too! If you’re in a group that has that one vegan person, don’t leave them out! Everyone deserves a drunk food experience and Toto’s lets you do half and half pizza—one half for the cheese loving carnivores and one half for the plant-based people. If you haven’t branched out beyond KFC for fried chicken, you are missing out my friend. Try something new and be a little adventurous! Pocha is located in the Chancery Square and is open till 4am on Friday and Saturday nights. Grab a table and end your night with some crispy fried chicken that has been marinated in an ancient Korean secret special sauce. This stuff is pure magic and your life will change for the better. Got a craving for a burger? Satisfy that by getting it in its best form possible. Andy’s Burgers & Bar are open 24 hours and cook up the juiciest burgers. These guys are also vegetarian friendly and do a mighty fine falafel burger. To make this place even better, they’re the home of the halloumi fries and you can’t walk out of Andy’s without experiencing those. 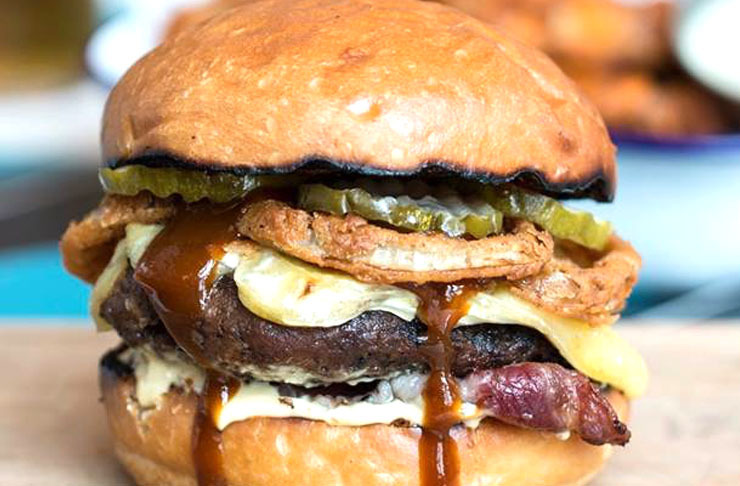 Greasy goodness doesn’t just come in the form of burgers, chicken and fries. Ramen with a thick pork broth can be just what you need to satisfy your drunk food cravings. Ichiban located on Albert Street and serve rich bowls of Japanese ramen till 2am. If you’re more of a rice person, they do killer donburi dishes as well. If you really want something fried, you really can’t skip out on their dumplings. We’ve all ended our night with a fat kebab and we’ve all enjoyed the hell out of it. Upscale your kebab experience and get your Mediterranean fix from Celine at Elliot Stables. They’re open till 4am and have a menu ranging from the classic wrap and fries to other bomb-tasting authentic dishes. Do us a favour and get their mezze platter, these guys can whip up some of the best falafel and hummus in town. Ahhh, the nights when we’re just not in the mental or physical state to walk in to a restaurant and dine in. Just because you’re trashed, doesn’t mean you have to go home on an empty stomach! The White Lady is the epitome of a great American food truck is located on Commerce Street. They’re open all night from Friday to Sunday and you’ll be surprised at the variety on their menu—catering to meat lovers and vegans on request! Burgers, grilled cheese, hot dogs, shakes and fries… what more can you ask for?! Chinese cuisine love their oil and they do it so right. Open till 2am, Gogo Music have a massive menu of skewers, stir fries, noodles and dumplings. Grease is essential in drunk food and spice is sometimes needed to wake you up from your messy state. We recommend getting the Spicy Stir Fry Chicken in Xianjing Special Sauce with handmade noodles for the table and whatever skewers you want. Gather up your squad and hit up Dominion Road to spice up your greasy fix and thank us later. The great thing about Al’s Deli is, not only do they cook up some soulful fried drunk food, but they go just as hard with their desserts. There are those nights when all you want is some sugar to get you through and Al’s Deli has the goods. The Mega Sundae stays true to its name with a massive portion of ice-cream, nuts, brownie, chocolate sauce and caramel sauce. Can't commit? 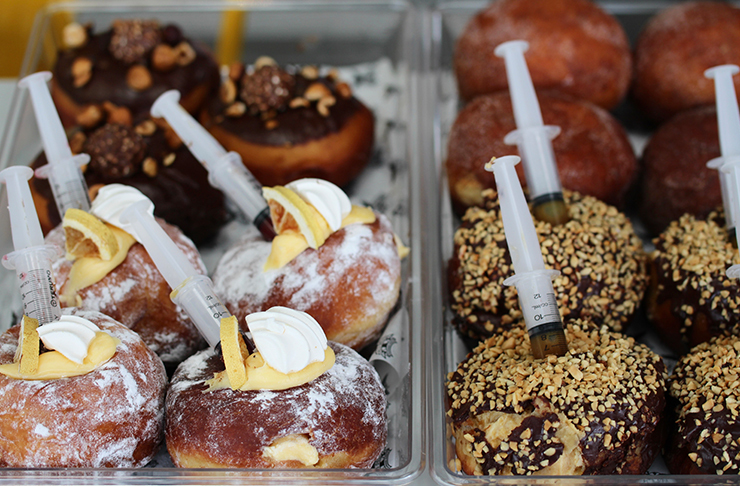 Check out their wicked injectable doughnuts.